David Goldberg, DDS, MS is our Albany Park Orthodontist. He offers conventional orthodontics and Invisalign clear removable braces. He provides orthodontic treatment for adults, teens and children. 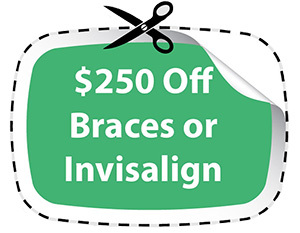 Our patients will enjoy this $250 off coupon for conventional braces or Invisalign. Please mention this coupon when you call or if you request an appointment on our website. 3020 Orthodontics is now accepting new orthodontic patients. Call 773-754-3900 or Schedule an Appointment today!